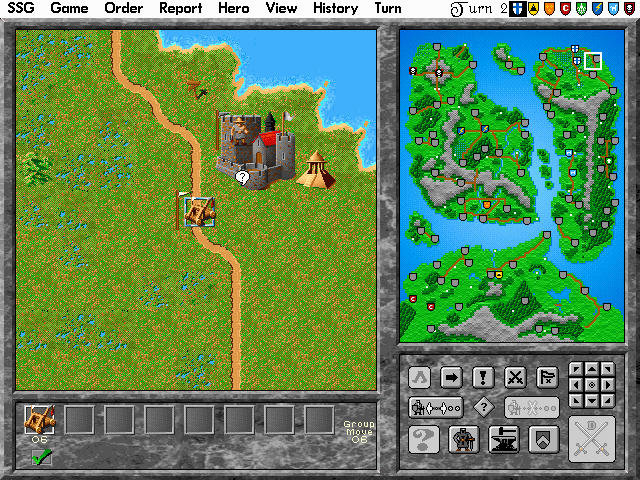 Strategic Studies Group was primarily created to produce war strategy games as the title already suggests. Their focus was mostly on World War II but was not limited to it which shows for example very successful Warlords series. 10/26/2018 7:02:00 PM - Hooked I saw this on the freegame home page (top left corner)... Not sure if the messege is current or if it is the reason the play buttons are not visible... "We have suspended the emulator applet because of false virus warnings until we find a solution." 6/15/2018 10:55:00 PM - Horse Lord Is this game not working anymore? I can't get it to go no matter what I try. 3/28/2018 7:02:00 PM - Hannes Ichsagmeinennachnamennicht Warum haben sie Die Option Mit dem Emulator Entfernt? Ich kann das Spiel Jetzt nicht Mehr Spielen. 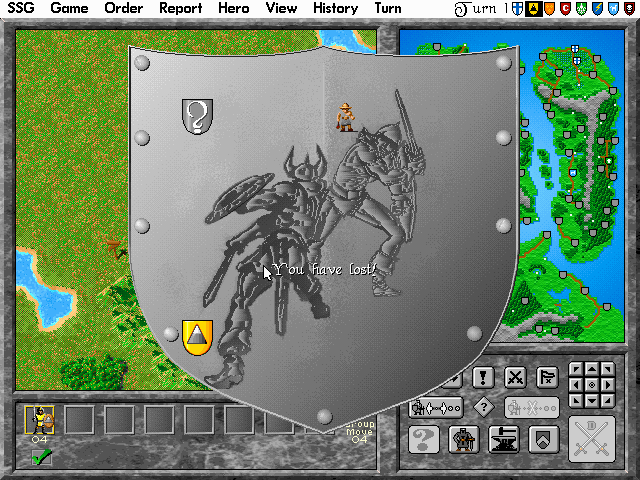 4/7/2017 10:14:00 AM - Michael Is it possible to revamp the Warlords series of games so that it is playable using the current O.S. i.e. 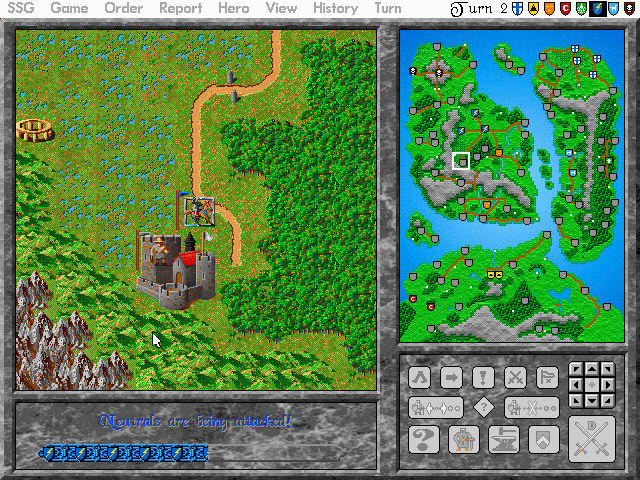 WIN7, or WIN10, instead of playing it through a DOS emulator? That would be absolutely awesome. I played these games when they first came out years ago, and they are awesome. 9/28/2016 4:25:00 AM - Warlord damn. tried. can`t help. ask a techie! 12/18/2015 1:48:00 PM - Andrzej Zgadzam sie z przedmowca. Zainspirowal mnie on do interesujacego wpisu, ktory zobaczycie niebawem na wyciskarka do soków. 8/7/2015 3:16:00 PM - john this game is awesome. been playing it for 20 years. 7/14/2014 4:33:00 PM - Ja is it dangerous ? 6/17/2014 5:10:00 AM - oldman Anyone know where I can find the documentation for this game? 6/11/2014 8:17:00 AM - Elijah How do you play this on Windows 8? Anyone know? 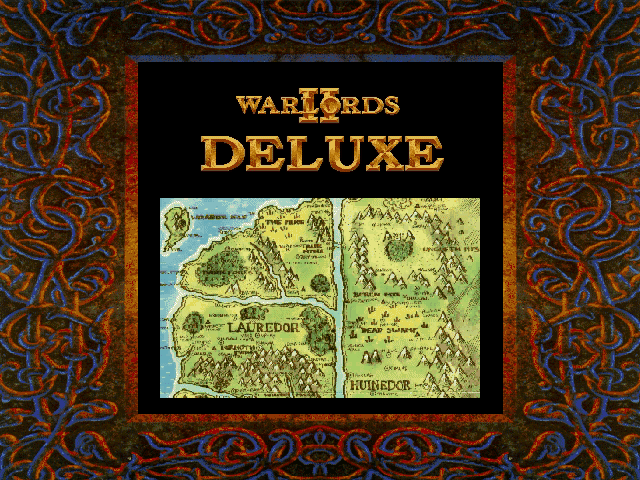 3/15/2014 12:45:00 PM - Who wants to play online Warlords 2 Deluxe? 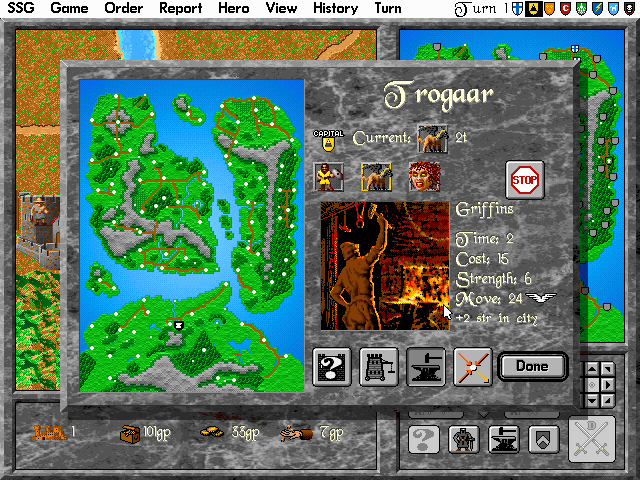 11/25/2013 10:23:00 AM - FreeGameEmpire Hi, You should visit the Ancient.NET tab on our page. 11/23/2013 2:20:00 PM - BARt How to play multiplayer online? 11/21/2013 11:26:00 PM - Awesome game!! The only game I slaughtered wellner more in was axis and allies. 11/18/2013 11:31:00 PM - Joachim Beinhart The best game I know, yet unknown to the mainstream. 11/14/2013 6:40:00 AM - gb hmmm.. igot an 'error 8 - resource file not found' with clickonce. any help ? 11/13/2013 6:28:00 PM - @Bloodstrike: the comment before download says: "To play the game you have to set up an emulator (like DOSBOX) or have MS-DOS operating system." I prefer the "Play NOW! "-Button - works fine for me..
11/12/2013 9:51:00 PM - Bloodstrike I have downloaded it all and it wont run???Help? I loved this game when I was a kid. 11/8/2013 5:48:00 PM - AndyFox Excellent strategy game! 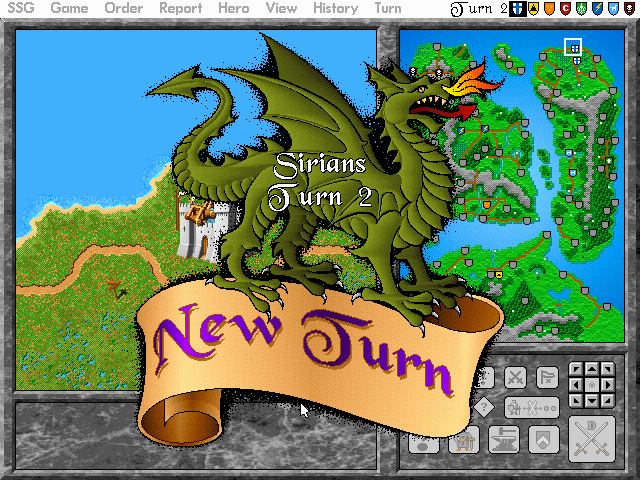 9/20/2013 10:29:00 PM - i was just thinking the same thing - was is this 20-yr old game still addictive? 9/4/2013 5:37:00 PM - humble i remember playing a demo for this 17 years ago and i still love it lol !!!! 7/21/2013 8:58:00 AM - Pete Hi. How can i disembark my units? 7/10/2013 11:18:00 PM - Bongo-John ahh, thx akot !!! 7/6/2013 1:26:00 AM - Bongo-John Hey im playing the game - and i love it- but what i dont understand is that the computerplayer use to fight me as their only enemy- they go to peace with each other and fight only me...which isn t funny, 1 vs 7 players is too hard- i dont understand why they dont fight with eacht other too, only with me....any ideas ??????? 3/27/2013 8:56:00 PM - Luke I am running this through Boxer on an iMac. When I save the game it seems to save, but when I relog and load game I just get a green map devoid of any features. Any trick to loading saved games? Cheers. 3/25/2013 12:01:00 AM - Kurt Roaming was the answer. Thanks for the guidance! 3/21/2013 7:26:00 AM - FreeGameEmpire There might be some minor changes based on your windows locale and others... the place is selected by windows itself as your home place for application data and so may be a little different. You can try to search for "AppClient" folder, which must be named exactly like this. Optionally I have also seen the AppClient folder in a Application Data\Roaming but not sure why. 3/20/2013 2:43:00 PM - Kurt Thanks for pointing me to the FAQ. The Win 7 location of "C:\Users\[User Name]\Application Data\AppClient\Packages\" with my user name in the place holder doesn't seem to exist on my PC. I get as far as "C:\Users\[UserName]\AppData" then I can't follow the file path since a AppClient folder isn't there. Any other suggestions on where to find the saved game files so I can clear out some of the old ones I don't want or need anymore? Any way to use the search feature to fine them? 3/19/2013 9:11:00 AM - FreeGameEmpire The file locations can be found in our FAQ. We currently do not support online save game storage, maybe in the future. 3/16/2013 6:51:00 PM - Kurt When I save a game, where is the file stored? Is there a way to delete a saved game? Is there a way to save a game on one computer and continue it on another? 10/28/2012 9:17:00 AM - FreeGameEmpire Hi, you can run the game easy clicking the Play NOW button on this page. Otherwise, install the dosbox and drag&drop START.BAT on the dosbox desktop icon. All should work fine. 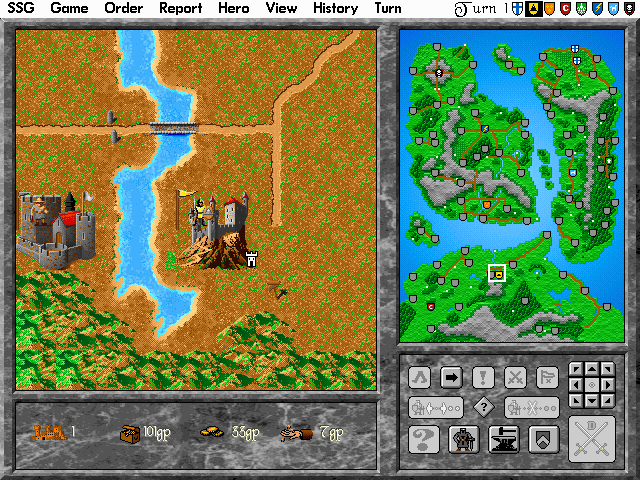 10/28/2012 3:20:00 AM - Ray Hi, i have downloaded al zip, warlords 2 deluxe, and dos box. i have windows 2003. What do i type in ms dos to begin the game. it comes up with things like "doesn't exist" and so on. Any help is welcomed. 9/4/2012 3:28:00 PM - warlords2fan Thanks alot! I was using windows vista and experienced some lag. 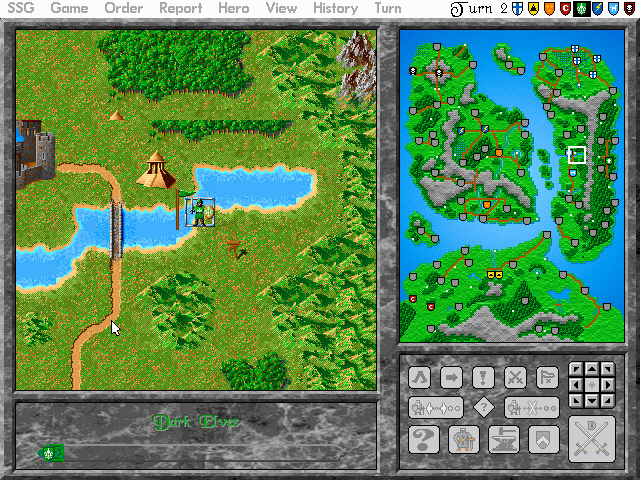 In dosbox i set "cycles max", which made dosbox automatically the lag out. 8/25/2012 11:19:00 PM - blastedbiggs awesome. thank you. 7/4/2012 9:21:00 PM - reindeercj Why can't I access this game to play it? 7/2/2012 8:13:00 PM - unbelievable game. how i miss games like this... argh. 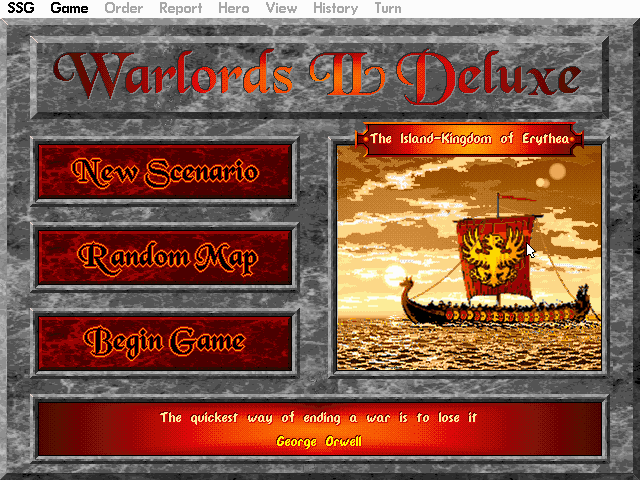 6/14/2012 12:38:00 AM - meff People, we need Warlords III ! 6/8/2012 12:23:00 PM - alex why does the "play now" option not always function? playing this game this way is much faster than in dosbox mode... thanks for any help! 5/20/2012 1:59:00 PM - sinister Thanks for the upgrade to Deluxe. After 20 years this is still such a fun game to play! 1/20/2012 9:29:00 AM - genghiskhan777 THANK YOU! 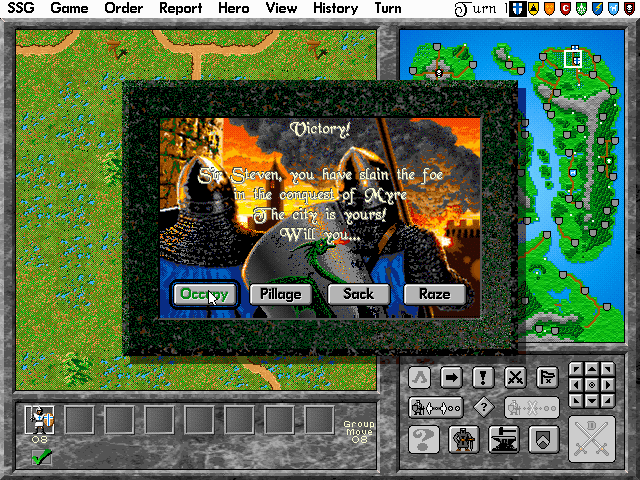 The Scenario editor was one of the best parts of the game. 1/6/2012 11:49:00 AM - FreeGameEmpire I have upgraded the game. 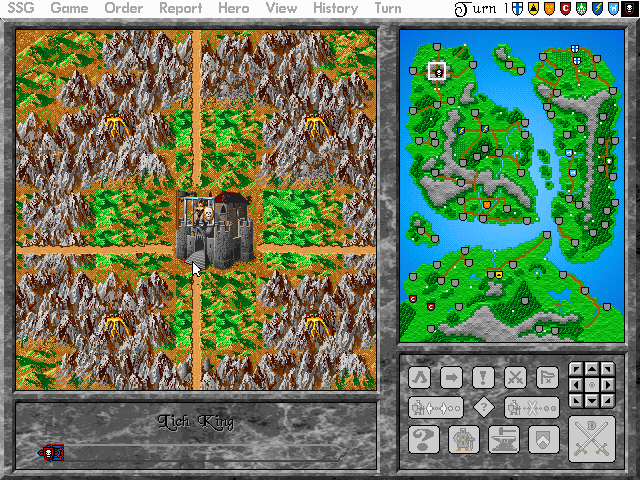 You can now run Terrain editor or Scenario editor. Please keep in mind that you will loose all saved games after update so skip the update until you finish the game or backup the savegames. Game files locations can be found in FAQ. 12/21/2011 1:20:00 AM - This game is in the pantheon of the greatest PC games of all time. I have spent 100s upon 100s of hours with my friends playing this game. Rule Britannia is the best map by far!! 12/15/2011 5:25:00 PM - suckers noooooooooooooooooooobz play 1st one!!!!! 12/10/2011 3:00:00 PM - akewa I. 've played this on and off for over 20 years. Still great! 5/16/2011 3:00:00 PM - catfish i like to spank monkeys.